The extension of Hospital Drive through its property justifies an up-zoning in residential units, says a Glen Burnie property application. 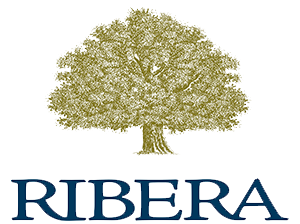 Ribera Ventures LLC and Five Pumphreys Partnership LLC together say that a nearly 70-acre tract along Elvaton Road should be rezoned from R-1 to R-2. The extension, for which Pumphreys has already deeded 2.12 acres to the county, constitutes a legal ‘change in the neighborhood,’ says the twosome’s application. Ribera and Pumphrey argue that even a higher density than R-2 is deserved, for the property adjoins the more densely developed Fox Chase on one side, and the townhouses now getting built by Richmond American at Villaggio Enclave on another side. Still, says the application, the R-2 (single-family) zoning yields the best development plan. Ribera and Pumphreys say the time is right for the rezoning because the county has appropriated the money to build the Hospital Drive extension, and is now completing right-of-way acquisition at the property to the south. The development plan shows 151 single-family lots, almost all of them backing to open space. The application is 2017-0033-R.